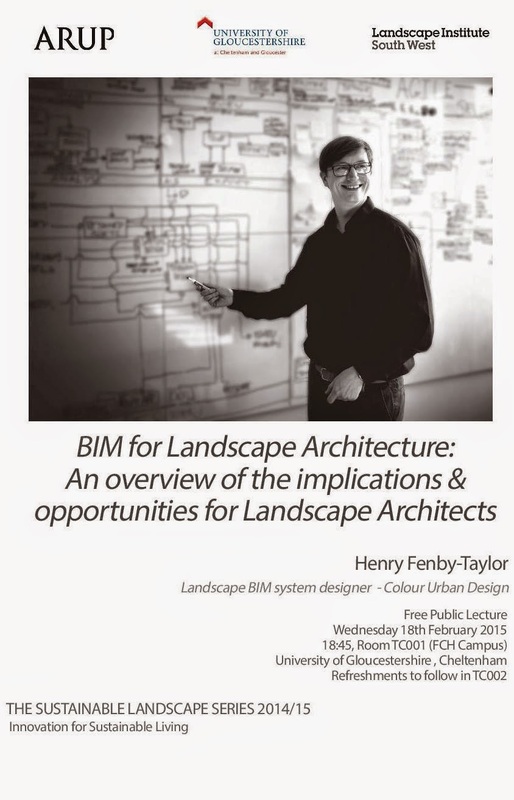 BIM blog for the only dedicated Landscape Architecture BIM professional. An overview of the project management, information management, training, process development and other bits and bobs I get up to. 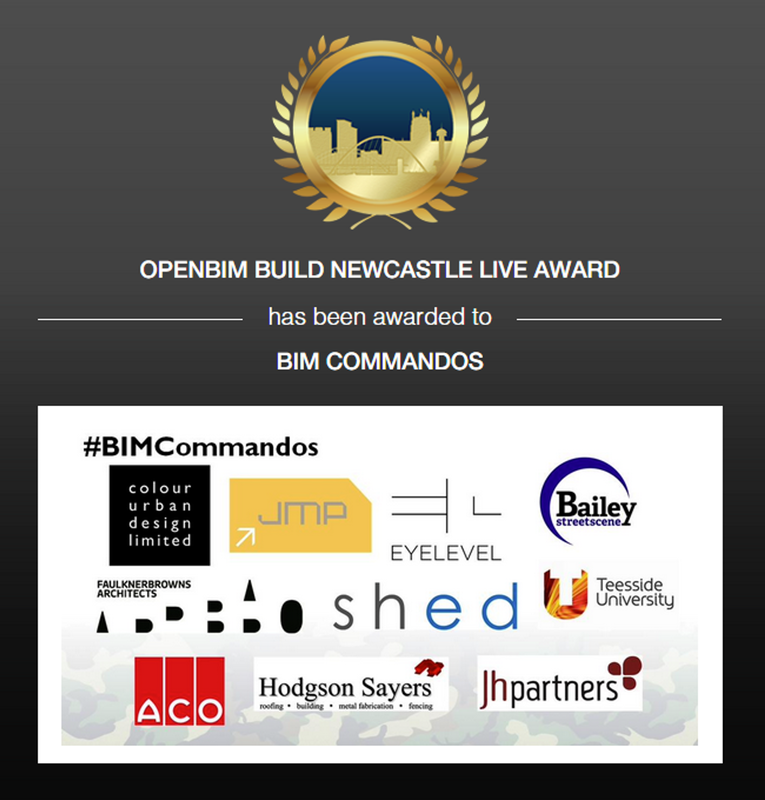 It's a salute and hand shake for the BIM Commandos as they take the overall prize at Build Newcastle Live. A huge thank you to the entire team. You worked hard and certainly deserve this accolade. We worked hard, played hard and slept not really at all. Hotbunking down at Faulkner Browns offices in Newcastle meant that we could always stay close to the action. It was hard work, but for what the entire team got out of the experience it was hugely worthwhile. One thing comes out of this competition for me, and that is the importance of collaboration. Not collaboration in the sense of sharing files, but in the sense of working together, talking and sharing ideas. We had a variety of organisations and individuals involved, some with decades of industry experience and some just starting out. Others had never engaged with a BIM process before and others are old hands. Yet we always felt like a team, working together for a common purpose. As the Information Manager and project lead it was certainly an interesting experience. We needed to manage not only our own workflows, but how our outputs feed into other's work. When processing time alone for a render can take in excess of 8 hours and with a 48 hour project time it was vital to ensure that our team could work on the correct information when they needed it. We tested a lot of new ideas and taught each other a lot along the way, and that's what this competition was all about. 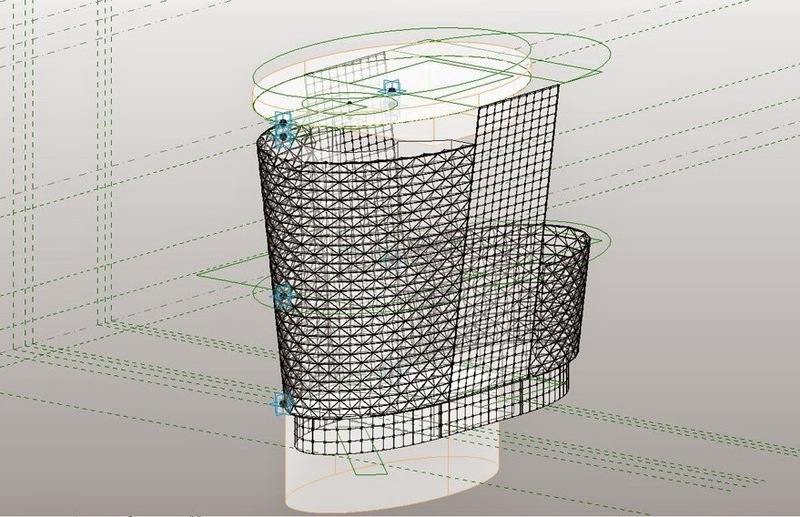 Whether Joao the PhD student from Teesside University was testing his software link between Revit and COBie or Oli from Bailey Street Scene was developing the throughput of geometry and information from Solidworks into Revit, there was always some new connection that we were working on. Eyelevel's Augmented Reality app, we didn't manage to get it tested on site, but stay tuned! It's BIM, of course we have to have a clash detection graphic! 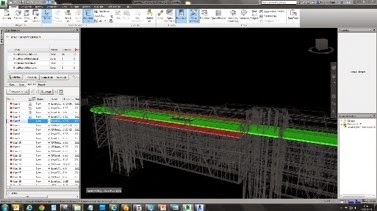 Data cleaning is an important part of a BIM process. Ensuring not only that each team member has the right information to work with, but also that the information they are using doesn't contain information that could slow them down. 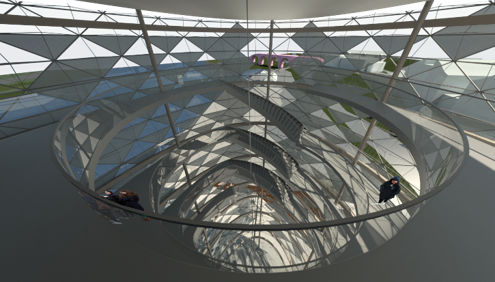 Whether it's flying seagulls in the point cloud or 3D models of taps and sinks for the visualisation professionals. 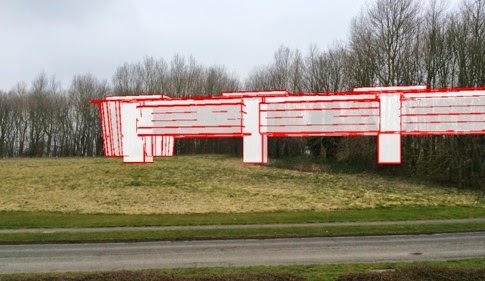 Analysing the point cloud shows the elevation change across the site clearly. Big data sets take a long time to download! Integrating different tools from across the Autodesk family is not always easy, but with a little help from your friends there is always a way. 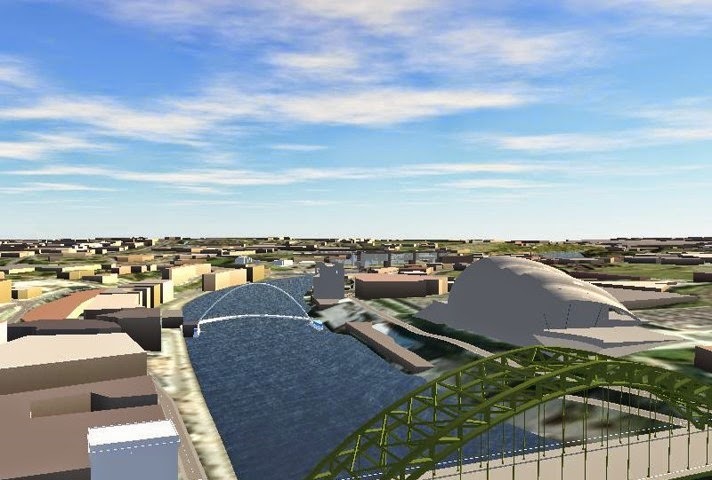 We also tested the NBS BIM Toolkit. Many thanks to Seth Okai for okaying that. Really good start to getting a full BIM level 2 project. 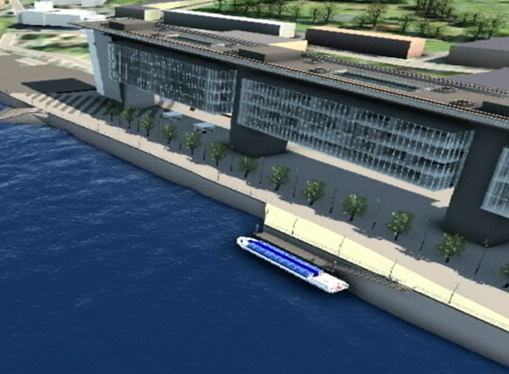 It was a wonderful experience and the BIM Commandos have a lot of potential for the future. 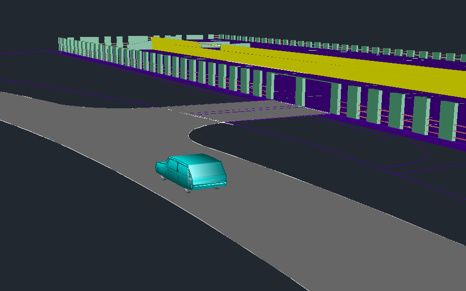 Ensuring geospatial coordination of models and finding ways to make interoperability work beyond the building envelope are themes the BIM Commandos will continue to work on in the background. 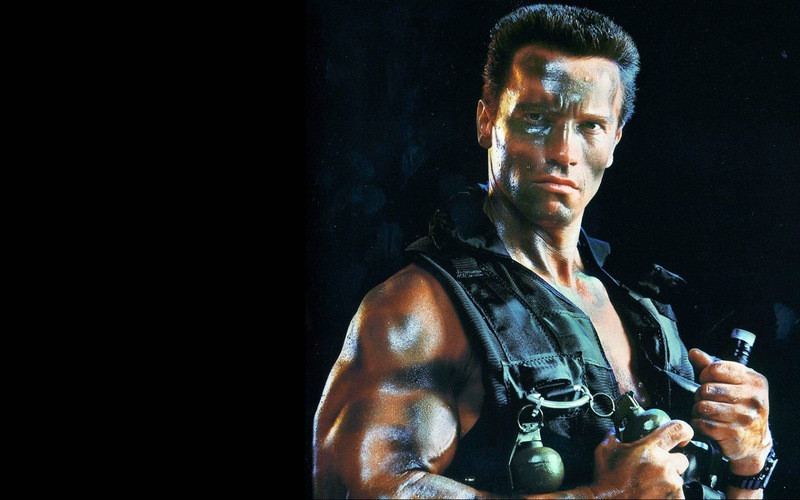 The BIM Commandos. We'll be back. Below is a list of upcoming events and talks that I'm going to be a part of. I will definitely be attending this as it is being hosted by BIM4SME and it is championing the inclusion of SMEs which is vital for the industry. 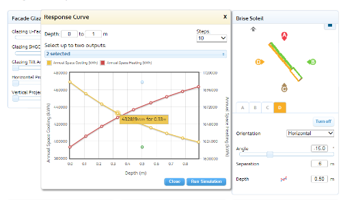 This software tool is an excellent example of the power of data. With it I can quickly and accurately gather information about a place's relative quality of living. Such a great way to quickly look for somewhere to live or assess land value with an understanding of context. You'll need to know what a PDT is before reading this post. The idea of creating generic sheets containing high levels of detail for specific product types I have previously said is a necessary idea. We need to capture, structure and standardise information if we have any hope of automating how we process that information. There is a danger frequently skirted around which is failing to accommodate the capabilities of software when developing standards. This situation is created by the entirely understandable principle of not wanting to be software specific, which is a fine (emerging) tradition that we can continue. This doesn't mean that we have to create standards that aren't fit for purpose, and let's be clear, I believe that the PDTs will be fit for purpose. 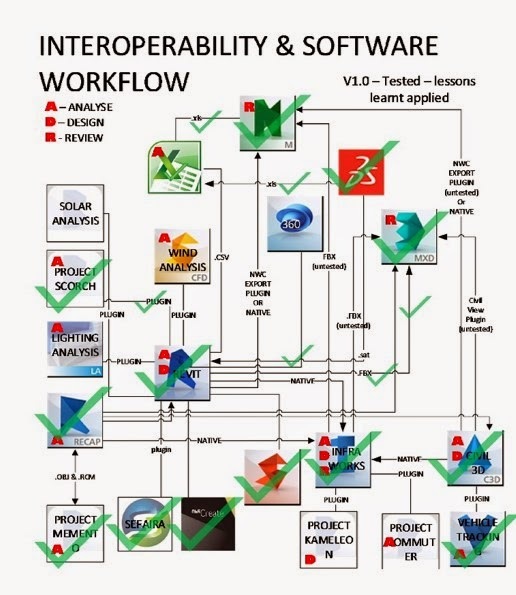 Software behaves in a few general ways that are predictable and can be accommodated for. A really hard part of using computer science to solve problems is predicting how the user will use the software and how this compares to what's achievable by computers. Computers can beat the best chess players, because there is an underlying logic there that it can work with. 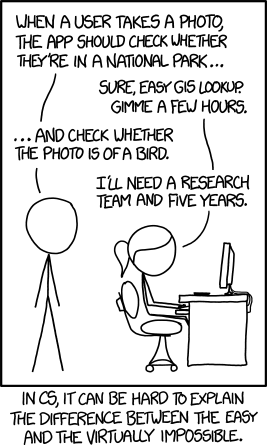 Computers can't understand speech perfectly or recognise birds reliably, because there is a vast array of greys, they need to make sense of something before being able to process it which they find hard. Whereas with the chess example the 'sense' has already been defined by the rules of the game. These rules are discreet and can be expressed mathematically. The thing to take away from this is, to know what PDTs need to do, we need to know that computers can do with them. Finding solutions for problems using computer science is hard, and PDTs are no different, it's entirely possible that we will only know what we need them to do once they're developed. But hey, that's why we have version control, so that we can create updated versions. The thing to take away from this is that in order to use PDTs effectively, we need to know what they will be used for. Ensuring that PDSs' are filled out consistently will allow them to be computer processed most effectively. The restriction of inputs into PDSs' may be feasible, or using protected letters e.g. a comma means there are multiple items in this field and therefore this field should be treated as a list. Another example is na. n/a, N/a, N/A, not applicable, not aplicaable etc etc etc. If the inputs are clean and standardised, through whatever methods, then you can rely on a computer to process that information effectively. If not you will get spurious information that will require you to manually process the information to clean the data so that the computer can use it. A real waste of time and money. This is already being done in the quarters that I am aware of, but is vital. Every discussion I've had regarding PDTs has ended up with a group of us trying to imagine what stakeholders who aren't present will use them for. Luckily we have representatives from the key stakeholders present at our Landscape Institute BIM working group meetings, so that works very well in capturing those requirements. You need someone present who isn't imagining what something might be used for, but knows. There is no such thing as a construction generalist, so we are required to consult. The danger is that otherwise, the PDT is not fit for purpose. PDTs will be fit for purpose, because of the number of intelligent, well informed and experienced individuals involved with them. However, there are pitfalls and anyone could fall into them. 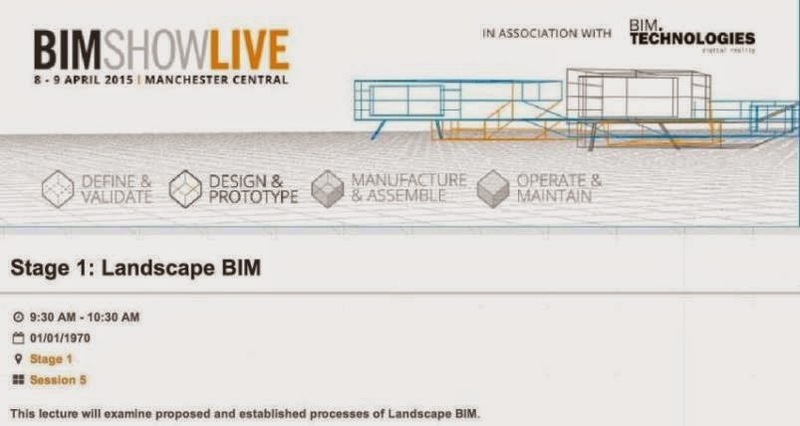 Having the good fortune to be working on the product data templates on behalf of the Landscape Institute and working in a project environment with Revit being used on landscape I have a pretty niche experience of creating and using content within Revit specifically for the landscape. There are more and more products being developed by manufacturers, either themselves, or through another agency. We're doing that ourselves. If you are going to go through another agency, or do it yourself. Please please please speak to someone who is using the software in landscape. If you don't, the model that comes out of the other end could well be useless. Your objects, created in whatever software, need to be fit for purpose. That means they need to have the right content in the industry standard format (or be updatable so that they can). They need to work in the software as they're used by professionals. This means, no dumb, flat, or 2D blocks on the one hand and no hugely flashy and impressive models that severely degrade the performance of your computer. Or at least considering these various criteria. 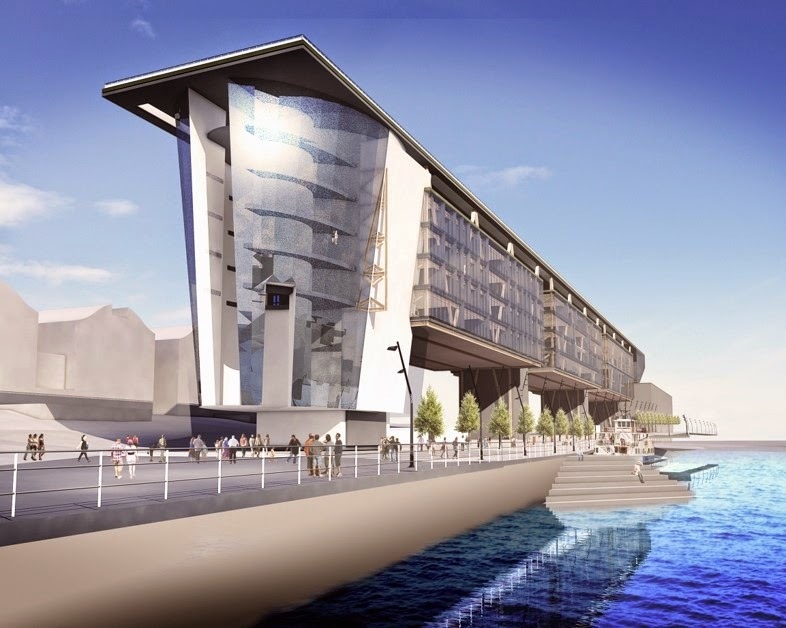 Sustainable Sites Initiative, a LEED/BREEAM for landscape? I've been writing a few blog posts and then for one reason or another not posting them. However, this post has three of my favourite topics in one, so it's a must for me. Politics, systems and the landscape. Awesome. It's been in development since 2006 and version 2 was released earlier this year so I don't feel like I've missed the party too much on this one. Okay, so first of all, how easy is it to get hold of the information. First of all, the reference guide costs $75. Part of getting any standard adopted is knowing who to charge. Charging the casual reader like myself to get an understanding of what you're trying to achieve... not a great start. Still, you get the rating system and a scorecard, so theoretically you could go ahead and score any development without paying a cent, but end up with weird results, because you didn't use the reference guide... Not sure I understand the logic. Okay, let's have a look under the hood. I've got the rating system and the score card. Ah ha, I need the reference card to be eligible to test my site. 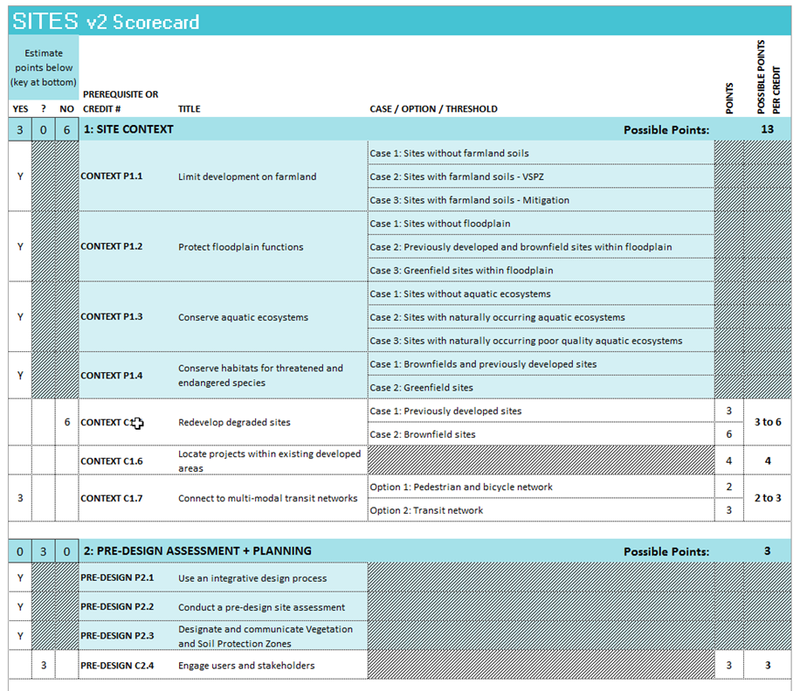 Well kind of, if you look at the assessment criteria in the light blue filled cells that have hatched out the question mark and no columns, these are mandatory requirements of the standard. What areas are being tested? The introduction is always the sales pitch. The message I'm getting is definitely a forward looking, disaster averse attitude underlined by a thorough understanding of the systems that are impacted by development. Not really surprising to see this attitude given the involvement of Landscape Architects. In contrast to buildings, built landscapes and green infrastructure have the capacity to protect and even regenerate natural systems, thereby increasing the ecosystem services they provide. These services are the beneficial functions of healthy ecosystems such as sequestering carbon, filtering air and water, and regulating climate. Their economic value is highly significant, yet the cost of replacing these functions is rarely reflected in conventional decision-making. The central message of the SITES program is that any project ... holds the potential to protect, improve, and regenerate the benefits and services provided by healthy ecosystems. Sadly it doesn't quantify these economic values, I think whenever you're discussing economics, hard figures are always going to beat assertions. Nevertheless, I totally agree with the sentiment. Let's push on. I do like a good set of fundamental principles, they scream landscape architecture at me, being a Landscape Architect that's hardly surprising. "Do no harm has an air of religiosity about it... let me check..oh no, sorry, the hippocratic oath no less, I quite like being the idea of doctors of the planet. Design with nature and culture. Use a decision-making hierarchy of preservation, conservation, and regeneration. Provide regenerative systems as intergenerational equity. Use a systems thinking approach. Use a collaborative and ethical approach. Maintain integrity in leadership and research. Basically it covers every sort of development on land that you can think of. It's interesting to note that its remit ends (or is that begins) at the building envelope. 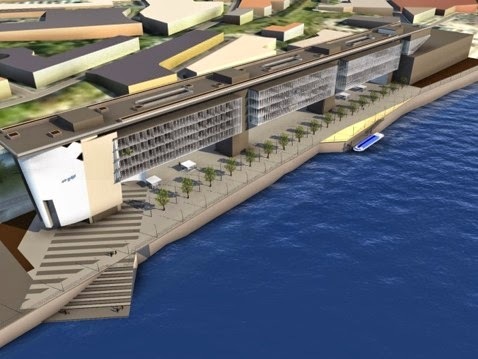 I had this pointed out to me by Carl Collins at Arup Associates and now I cannot unsee it. 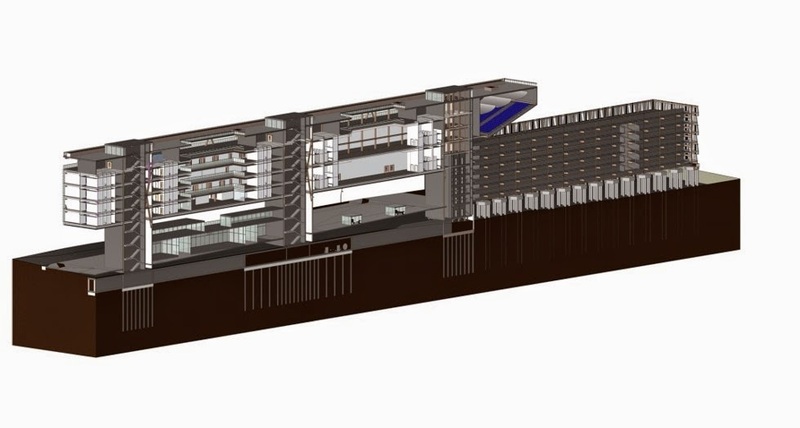 When we say "BIM", anyone with a clue is saying Building Information Modelling, or Building Information Model. Occassionally, and let us be clear, only to muddy the waters, people mean Building Information Management or Maintenance which is unhelpful at best. So when you are saying BIM Model, you are saying Building Information Model Model. It's a bit like saying PIN Number or the River Avon. I can forgive, if not forget, so long as you know that you're doing it.